The San Francisco Marathon is today and, since it's too late to start training, you may as well grab a spot to watch the race. Or download the app. Or sit in traffic. The bus tickets are sold out, so you'll have to grab some sidewalk to cheer on the competitors. Race officials put the highest hill early in the race, but that doesn't mean people won't be puffing up that hill. 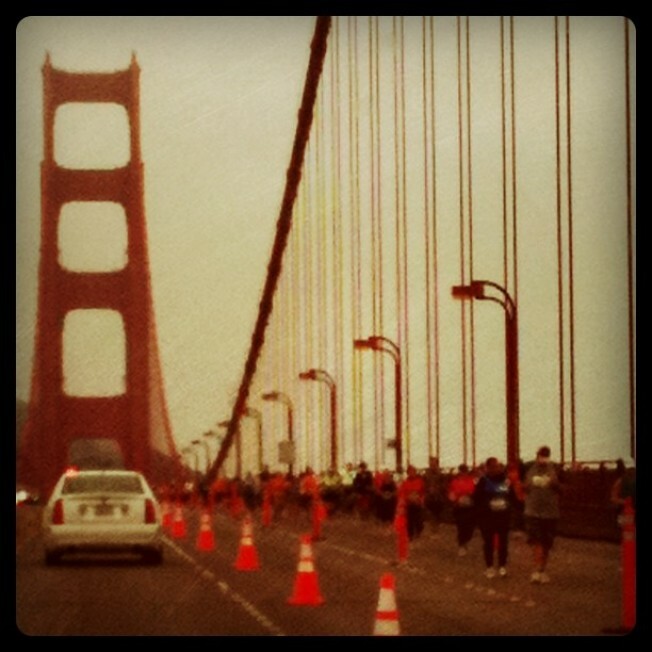 So grab a spot at the Sports Basement Presidio at the 4.5-mile mark. Another great spot is Haight Ashbury, about 19.5 miles into the race. Also, great place to do some second-hand shopping and/or having a pint. The mobile app shows the route, results, Twitter feeds, athlete updates and is, at least in Silicon Valley and San Francisco, a must-have for Sunday. If you need to get across the Golden Gate Bridge, plan on delays, too, but you'll get an up-close look at the dedication it takes to run 26.2 miles. In a row. There will be two southbound lanes and one going north. The marathoners will take up two northbound lanes and one empty buffer lane. All parking lots will be closed near the bridge, as well.